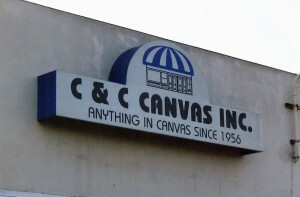 C & C Canvas is a privately owned and operated company that has been proudly serving southern California since 1956. We can provide just about any type of canvas product you might need, from awnings, canopies, and curtains to tension structures, banners, and canvas covers. We hold ourselves to strict standards in our work, employing only the most skilled and dedicated technicians and the highest-quality fabrics and materials. We work carefully with each client, as well as with architects, contractors and designers in order to create custom canvas products on par with the most premium items on the market today. When you choose C & C Canvas, you know you are working with a true expert in the field. We deal with major companies throughout the United States, providing a premium product in a timely and professional manner. Every customer, large or small, can expect this level of service from us. 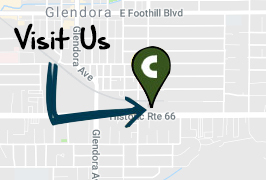 We invite you to visit our South El Monte showroom to learn more about our products. You can also send us an email outlining your dreams and desires and make an appointment for a free estimate on your next canvas project.